This is IT, we will have a NEW College Basketball Champion TONIGHT and it will end the College Basketball season. 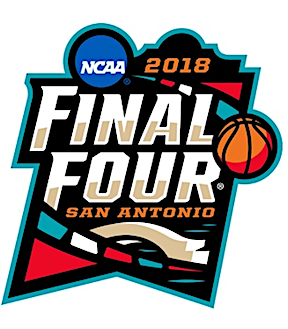 Villanova Wildcats and Michigan Wolverines will TIP-OFF later and I mean LATER tonight to see who will CUT down the nets at the Alamodome. The TWO Semifinal games took places on Saturday EVENING and in the FIRST game, the Wolverines were able to HOLD OFF the CINDERELLA run of Loyola-Chicago Ramblers. Sister Jean and the Ramblers played MUCH better than I thought they would in the game, but the ELITE talent of Michigan was able to make a RUN late in the game and are now ONE win away from winning the National Championship. In the SECOND game of the Night, Villanova DOMINATED Kansas for the WHOLE game. The match up was the BEST matchup of the Tourney based on seedings, but Kansas NEVER had a chance to win and the Wildcats are now ONE win away from winning TWO of the last THREE National Championships. These TWO teams have been the HOTTEST teams in the nation leading up to the Tourney. This year is RARE as the BEST teams in the Tourney are playing in the National Championship game. This game is going to be an INSTANT classic between two really GOOD teams. Expect a LOT of points in this game and it is going to be FUN to watch the game tonight. I picked BOTH Final Four games correctly and I am ROLLING at the end of the Tourney. I am TWO games over .500 in my picks, which means I am GUARANTEED to have a WINNING record this Tourney and I am SHOCKED. Here is my LAST pick of College Basketball until next March. Well there you have it, the Villanova Wildcats will be CUTTING down the nets tonight at the Alamodome in San Antonio. Come back here after the game the get the INSTANT reaction of the game.